The Charlotte Sting was one of the eight original WNBA franchises that began play in 1997. 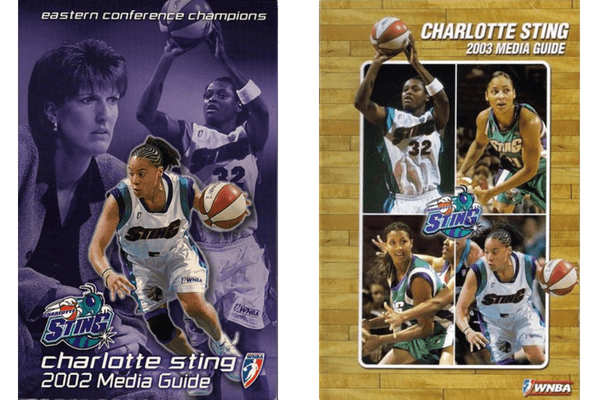 The Sting were then the sister team to the Charlotte Hornets. 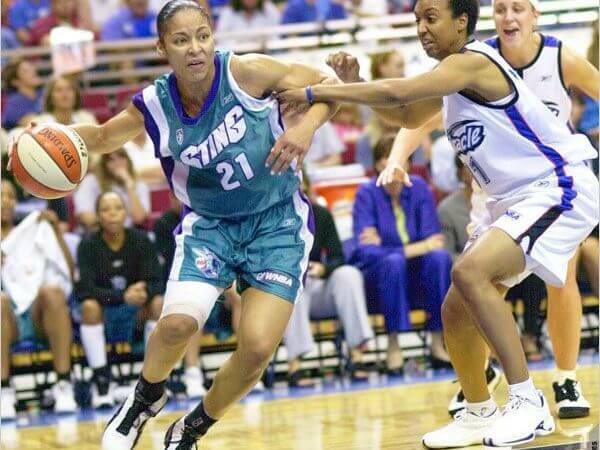 The Sting finished their first season with a 15-13 record and qualified for the first WNBA playoffs, but lost to eventual champions Houston Comets in the one-game semifinal. The Charlotte Sting were a Women’s National Basketball Association (WNBA) team based in Charlotte, North Carolina, United States, one of the league’s eight original teams. The team folded on January 3, 2007. The Sting was originally the sister organization of the Charlotte Hornets, until that NBA team relocated to New Orleans in 2002. Robert L. Johnson, founder of Black Entertainment Television, purchased the team in January 2003, shortly after he was announced as the principal owner of an NBA expansion franchise that was later named the Charlotte Bobcats now known as the Charlotte Hornets as of 2014 when Michael Jordan renamed the Bobcats. Sting – The Sting was then the sister team to the NBA Charlotte Hornets, hence the nickname Sting to go along with the Hornet name. Who is the greatest Charlotte Sting? The Charlotte Sting were a Women's National Basketball Association (WNBA) team based in Charlotte, North Carolina, United States, one of the league's eight original teams.